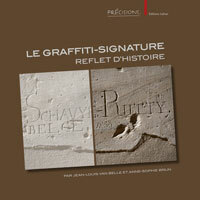 Catégories » Par auteur » V » Van Reeth, Jan M.F. J. VAN REETH, « Entre Rome, Babylone et les Indes. Bardésane, stoïcien universaliste », Res Antiquae 7, Bruxelles, 2010, p. 241-252. About 218 AD, the Syrian author and nobleman Bardayṣan met with an Indian embassy, on its way to the Roman imperial court in the city of Emesa. We try to demonstrate that his report, strongly marked by his Stoic concepts about cultural identity and relativity, became the source of Greek and Arab knowledge about the Buddhists and the Brahmans, starting from his contemporary Philostrates to Abū ‘Īsā al-Warrāq and Ibn Zur‘a in the 10th Century.